With budgets tight, we get a lot of questions about writing grants for our creative tools. But you can't write a grant that simply asks for Wixie. No one awards grants for you to simply buy a tablet or even great software like Wixie. Grants are looking for solutions to real educational needs that can serve as models for other educators. While we think Wixie is amazing, it doesn't do anything on its own. Wixie works best with a great instructor and a powerful curriculum idea. You are the great instructor, but you will have to clearly explain how a technology tool is part of a bigger solution to improve student learning. This blog shares tips for writing an effective grant, as well as resources you can use to more clearly articulate your goals and the projects and processes that can help you reach that goal. To better prepare students to participate and succeed in our rapidly changing world, students need to master the 3 R's as well as develop powerful skills with the 4 C’s. Powerful digital tools, like Wixie, both engage learners in the curriculum and help them build critical thinking, communication, creativity, and collaboration skills. Using Wixie requires students to think both analytically and creatively as they develop, implement, and effectively communicate new ideas to others. Students can use Wixie's cloud-based digital canvas to work together to creatively communicate their ideas, understanding, and thinking in a way that both engages with academic content and builds 21st century skills. Wixie makes it easy to implement blended learning and is obviously a great tool for helping students build the 21st century skills of creativity and communication. 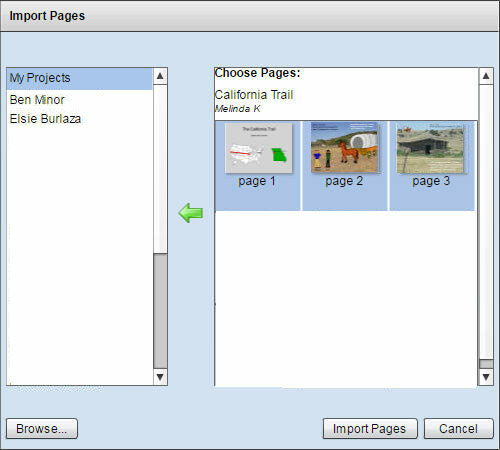 Wixie’s sharing capabilities can also help you foster student skills in collaboration.